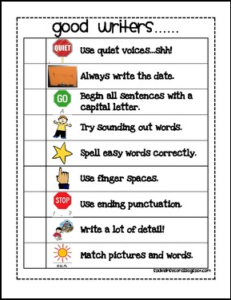 This is a great way for your students to make sure they are following the correct writing procedures! Easy to use, and kiddo friendly! Your students can keep these out during writing time or you could display it in your writing center.